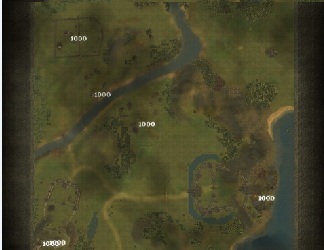 Recommended to set graphics - custom - terrain detail: medium or high to see the roads. Read the mission briefing before you load the map. At the start of the map you will hear "the lord has been killed" this is because you have 2 keeps and one of them(the on on the left) is attacked and the lord there dies. This does not affect your gameplay, it is how this map works, and you need to take that keep and defend it from the final invasion. Pls leave feedback, and Have fun ! Glad you like it. I will be putting more maps in the next days. I like the map, however, I cannot complete it as the game locks up. Somewhere after taking the first keep, it all goes dark and never returns. I see others are able to get through it. Hmmm i Dont know Button i will download and look AT it. I mit habe the Same problem!